Citrix Systems, Inc., today announced that Citrix VDI-in-a-Box™ has been selected as winner of the 2012 Best of Interop Award in the Cloud Computing and Virtualization category. The winners for the 2012 Best of Interop Awards were hand-selected by award-winning editors and analysts from InformationWeek Reports. There were more than 130 candidates for Best of Interop consideration in eight different technology categories. The Best of Interop Awards recognize exhibitors that have made significant technological advancements in specific category areas. The winners in each category represent the products that the judges believe have the most significant technical impact on their segment and are helping to move business technology forward. 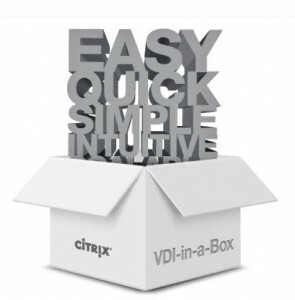 Citrix VDI-in-a-Box is a simple all-in-one VDI software appliance that enables Windows® administrators to rapidly deliver centrally-managed virtual desktops to any user, anytime, on any device – for less than the cost of new PCs. VDI-in-a-Box provides built-in high-availability and eliminates over 60 percent of traditional VDI infrastructure—including management servers and shared storage (SANs) – by creating a grid of off-the-shelf servers using local storage. Citrix announced at Citrix Synergy™ last week a technology preview of Project Aruba will extend the simple affordable all-in-one Citrix VDI-in-a-Box with personal vDisk technology to reduce costs by delivering highly personalized virtual desktops with the cost-efficiency of desktop pools. TRG International is an independent provider of business and performance solutions and supports thousands of users in 70 countries. Clients range from small domestic companies to large multinational companies in both the private and public sectors. To find out more about desktop virtualisation, download Citrix VDI-in-a-Box brochure here.